If you have a request let us know here. The St. Andrews Cross may be the most popular pieces of dungeon furniture used today. As a practical piece of dungeon furniture, the St Andrews Cross lets you position your partner standing, usually restrained. 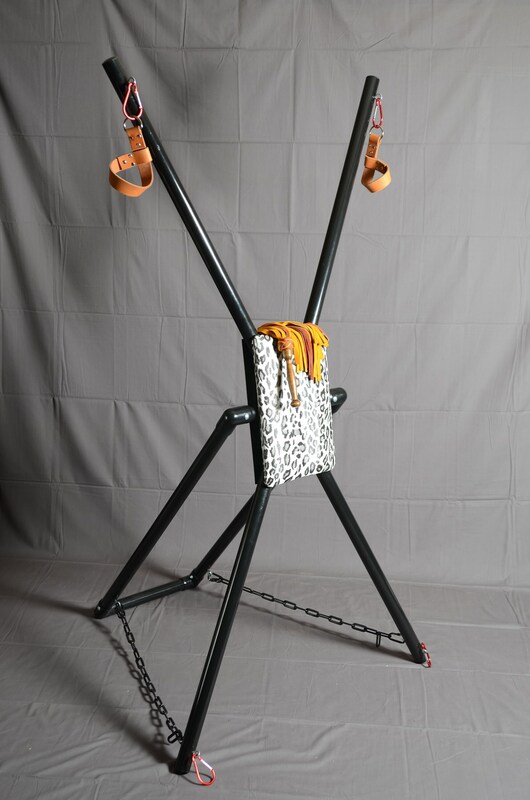 This Dungeon Outfitters St. Andrews Cross has multiple eyehooks and carabineers, and is absolutely stable and secure in its construction. Its patented design makes assembly and disassembly simple and easy.